Just 40-minutes from Oakland is where you’ll find Mercedes-Benz of Fairfield, which relies on innovation to make it easy for you to shop here. Our Express Store lets you do everything online from finding the right vehicle to getting your car delivered for free to your home within 100 miles. Of course, our friendly sales agents stand ready to meet you when preferring a more personal encounter. While you are here, you can also meet with our finance experts or talk to our factory-certified mechanics about scheduling service. If you need more information, contact sales at (707) 430-0101. For the service center call (707) 419-3601, or parts at (707) 416-4217. 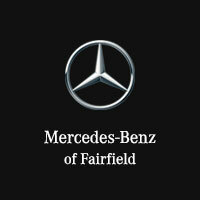 We’d also love it if you stopped by our dealership at 2950 Auto Mall Parkway in Fairfield.